“What do you think about a long weekend Bogota,” Sebastiaan asked. I never thought of it actually, so I searched the internet and to be honest, I had some mixed feelings. The pictures looked alluring and there was enough to see and do and spend a full 4 days in this vibrant city. But I read a lot of contradicting stories about safety. We also had doubts when we went to Medellin and Cartagena, but both cities amazed us in a positive way. In my opinion, you can’t judge if you haven’t experienced it for yourself. Since we live on a Caribbean island, which has some safety issues we might need to take the advice with a grain of salt. So, we decided we needed to see it for ourselves and booked! “Do we bring the new camera?” We couldn’t make sense of all the stories we read online but we did not want to take any chances and brought a pocket camera. The vibrant metropolis of Bogota is a place of contrasts. 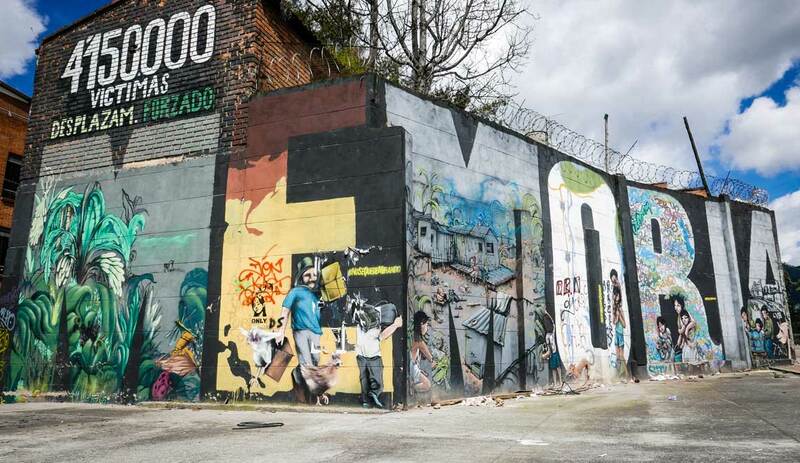 Bogota is divided in rich and poor which contributes to the city’s struggles. Bogota is big (!!) with a population of more than 8 million. Like any other city, it is impossible to say it’s safe. There are touristic areas such as La Candelaria, which is surrounded by some dodgy areas. A two-block detour South can put you in a dangerous spot. The South side of Bogota is very poor and there isn’t anything for you to do and see. As a local guide told us: ‘It’s easy to get in, but you might not get out of these areas’. Don’t worry though: The North is the complete opposite, with a lot of wealth and ultramodern skyscrapers. This part of town is safe. I would recommend staying on this side of the city like we did. Hotels aren’t that expensive and we found a super cheap deal and stayed at the Atton, Calle 93 in a super lively neighborhood. I didn’t feel unsafe at all during my stay here. And to answer my own question; “Do we bring the new camera?” Yes! Just always pay attention and be aware like in any other major city. From the new to the old. We stayed in the North and took a cab down to the historic city center of La Candelaria. Officially this is the first neighborhood of Bogota. Walk up and down the cobblestone streets in this colorful neighborhood while looking at impressive old buildings. 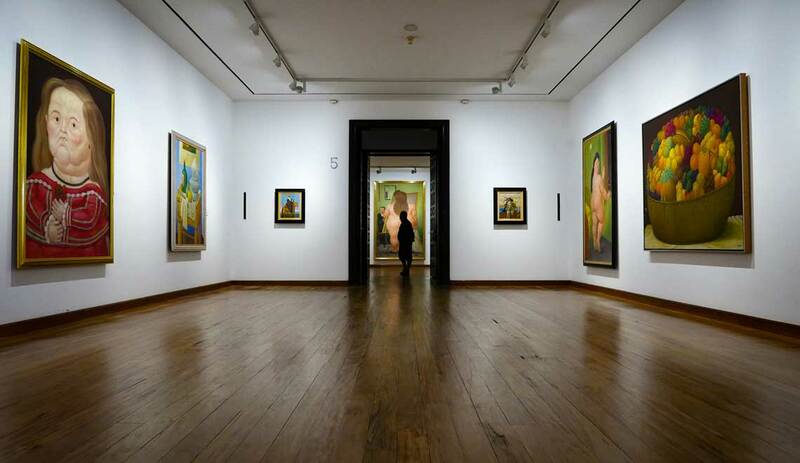 Visit the Museo Botero, which is free of charge. I love his paintings of people and animals in exaggerated proportions and sculptures in the similar style. Worth a visit. The museum isn’t big but has some phenomenal pieces with work of other great artists such as Dali, Degas and even some work by Picasso. 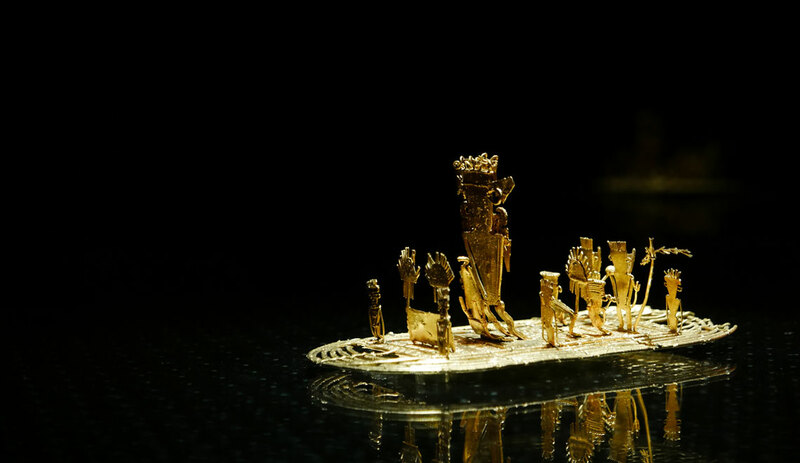 A not to miss attraction is the Museo del Oro. This impressive museum contains the largest collection of gold in the world with more than 55,000 pieces. The museum has beautiful displays and has some of the world’s most incredible pieces of sculpted gold. The set up was beautiful and fun if you love photography. My advice would be to visit early morning at 9. We didn’t see many tourists until later. And it tends to get crowded here. Bogota has a lot of stunning murals and super talented street artists. You can go on multiple graffiti tours. We were lucky enough to meet a local street artist who told us about the stories behind the evocative murals. Some tell the story of the city’s bad politics, others about how the country has suffered. Plaza Bolivar is the main square of La Candelaria with impressive buildings such as the Palace of Justice and the National Capitol. I had a lot of fun chasing away the pigeons. The most fun part was they didn’t bother to move and I looked pretty silly. 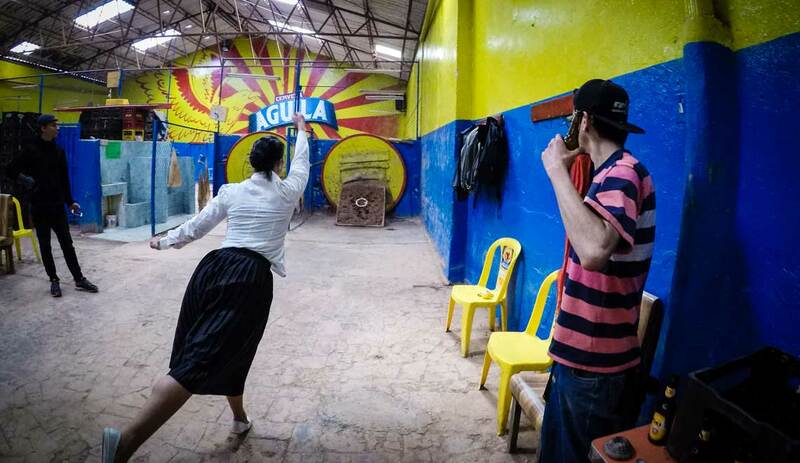 If you are up to doing something very off the beaten path and you like games, look no further: go play the Colombian National Sport Tejo. This is a gunpowder, beer-fueled game. Sounds dangerous and therefore lots of fun!. I got all excited although it was a bit early for the first beer, at 11 am. You need somebody to take you. 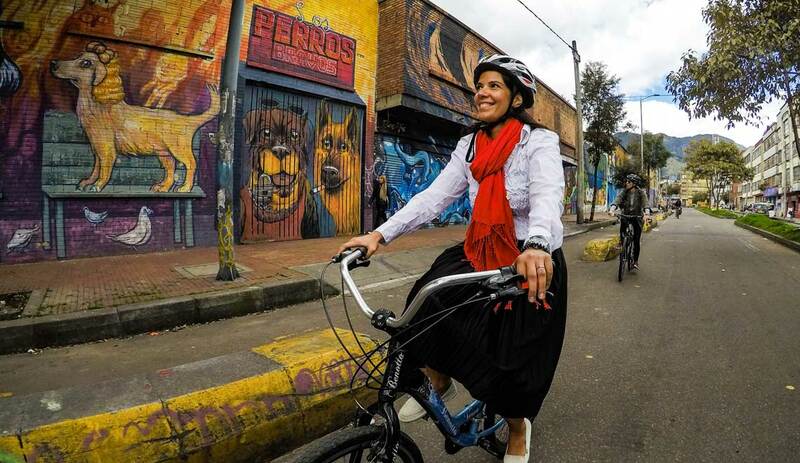 We went there with the tour guide of the Bogota Bike Tour. We entered the game hall via some shady, filthy looking butcher or restaurant. Not sure what it was. The small back door led to a big barn-sized building. Beers were popping as beer drinking is part of the game. Tejo might be the greatest sport ever invented. It basically involves throwing a heavy metal sphere at gunpowder rings in a board of moist clay. Aiming right will make you hear a loud explosion or if you miss will stick into the clay. This has to be done whilst drinking a beer. The losing team pays for all the beers. To keep the stakes high, you must keep drinking. It is not easy at all but I was hooked right away. Best sport ever! This is a good reason for me to keep going back to Colombia… Why isn’t this available everywhere? The bicycling tour with Bogota Bike Tours was the best. In about 5 hours we covered just a small piece of this massive city and saw some unusual Bogota hotspots. 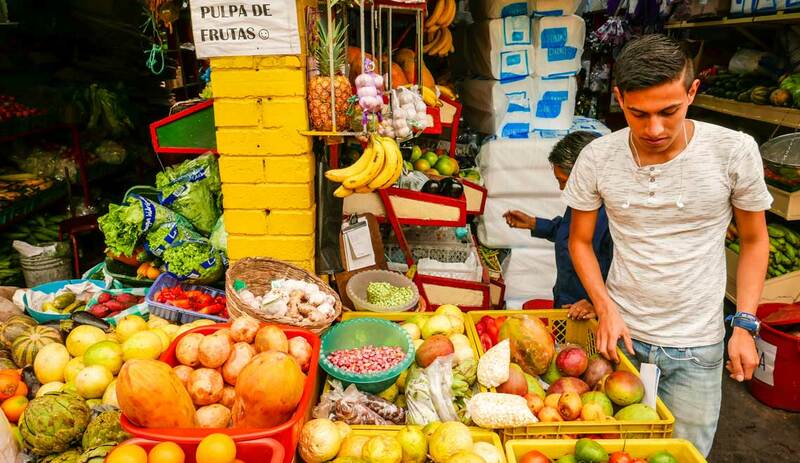 Our first stop led us to a local marketplace where we tried fabulous, to me, unknown fruits. Flavorful! After we went to play a game of Tejo I told you about. So much fun. I would have played the whole day, but, we were on a bike tour so we had to leave. Next, we toured the red light district, which isn’t a neighbourhood you can normally enter as a tourist. After a quick coffee stop with real Colombian coffee, we were entertained by some street artists. These people are very poor and try to better their lives entertaining people and not taking to crime. Loved these people and their effort! Nico, our guide is a very talented graffiti artist. He showed us different art pieces throughout town and told us about the story behind the art. I can definitely recommend anybody to take the tour with Nico. He showed us an un-touristic piece of Bogota, which I would have never seen if it wasn’t for him. 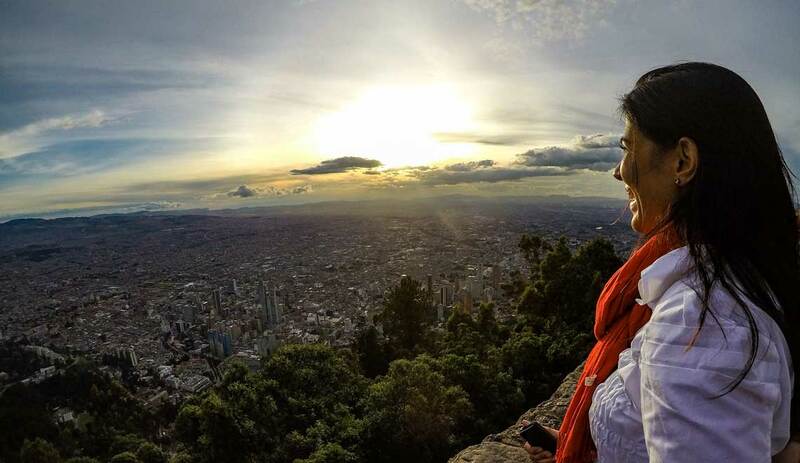 To get a true perspective of Bogota, take the funicular to the top of Monserrate Mountain. The breathtaking view over the city will make you realize how big it is. For the adventurous people, you can also challenge yourself and walk up. At the top, you will find a church, a marketplace, and two restaurants. I couldn’t take off my eyes of this terrific view, we stayed for the sun to set behind the mountains and to see all the city lights turn on when night falls. My advice would be to go at 4.30 pm to see the sunset. Bring a jacket as it’s cold up there! 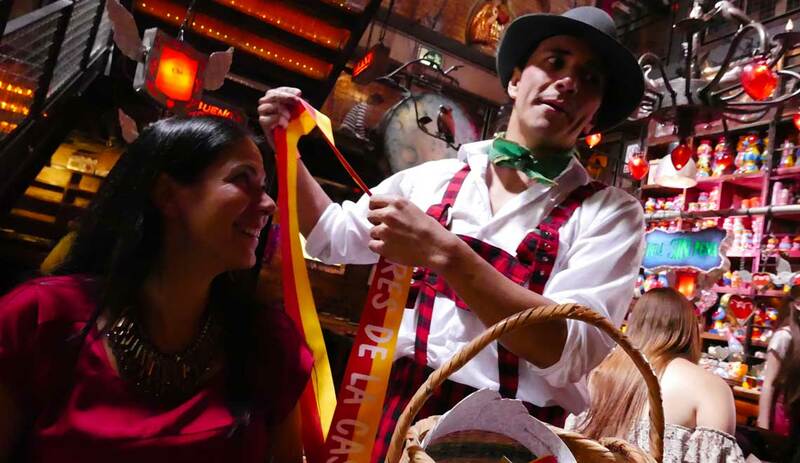 At first, I was a bit hesitant to go to the Andres Carne the Res. I thought it to be a touristic trap, and since it is located far out of the city in Chai, taking a cab would cost about $40 US. So eventually we went to the one in town in Zona Rosa. And I must admit, it’s a lot of fun seeing a restaurant being completely different and weird as this one. It is as if you step into another world. This place is the hot spot for locals as well as tourists. The food is tasty and the décor is something to marvel at. The atmosphere will make you never want to leave. I can’t explain it, just go! In La Candelaria we found a small gem. 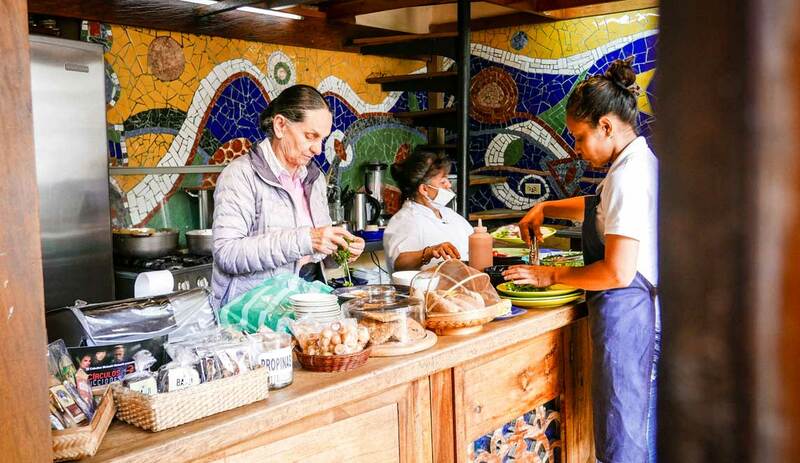 Quinua y Amaranto has a living room setting, small, healthy vegetarian food and very, very local. Order the 3-course menu including a natural juice and get surprised. You won’t regret stopping by when you are in the neighborhood. 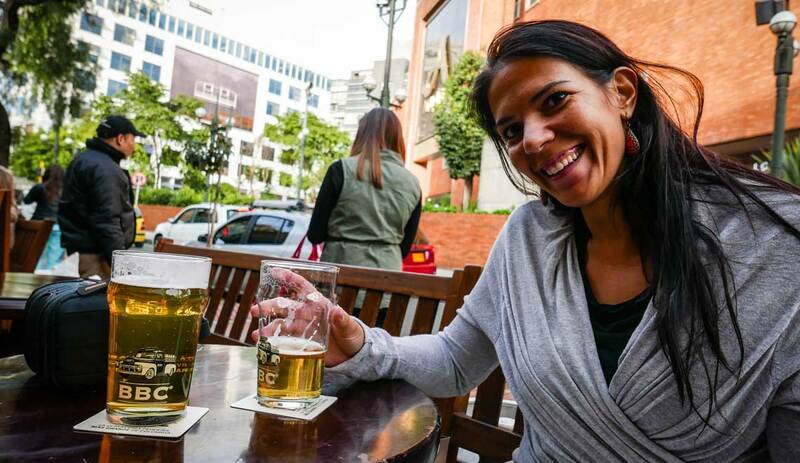 If you like beer, you need to go to the Bogota Beer Company or short BBC. Good craft beers, select the size you want. You will find them all over the city. When in a big city we always search for the best cocktail bars. We found one in the new and upcoming neighborhood of Chapinero. It was pretty hard to find Huerta Bar. We were dropped by our taxi driver in a rural area, not the typical place I would expect a bar like this. They are located on the second floor above a restaurant. The bartenders Steven, Manuel and David are the best! They are real artists playfully making new and exciting creations to whatever taste you please. To me the best cocktail bar so far! Not to miss if you love a good cocktail! Islanders like me, want to shop when on the mainland, so don’t blame me for adding this to the list. 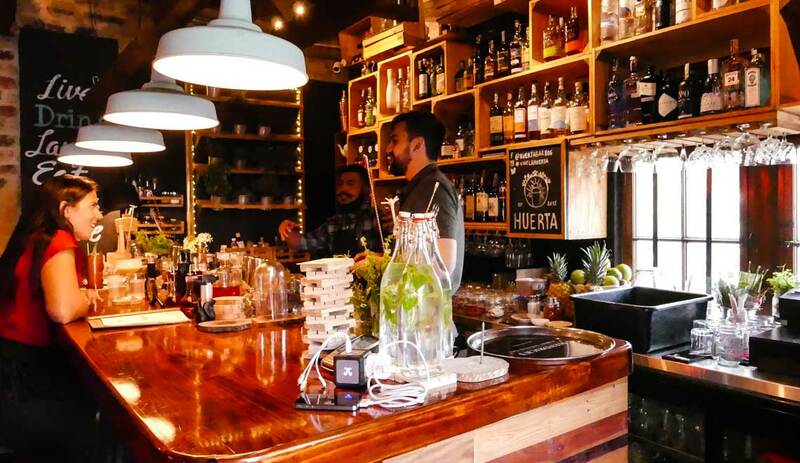 There are various Colombian brands that are working to get known internationally. A few of these brands are now my (new) favourite go-to shops: Maaji for all my bikini needs. Love their double sided prints and cute models! For a decent bag, I love to buy at Velez. I bought one of their models a few years ago when visiting Medellin and I still use it daily without it looking old or dragged out. And this visit I bought 2 more. And another new favourite brand is Seven Seven, which I left with bags full of beautiful and cheap clothes. Even Sebastiaan was lucky and found perfectly fitted shirts. The area I recommend to shop is called Zona Rosa and has a couple of beautiful shopping malls: El Retiro and Andino. Also, a great area to sit in the sunshine at one of the terraces of the many bars and restaurants scattered throughout the area. I have a new favorite sport, a new favorite cocktail bar, lots of new favorite clothes, I tried lots of new fruits and so many incredible new impressions. Bogota exceeded my expectations. I wasn’t prepared that this city would be ultra modern, hip and so much alike as Europe. People are friendly and I can recommend anybody to visit this vibrant metropolis. 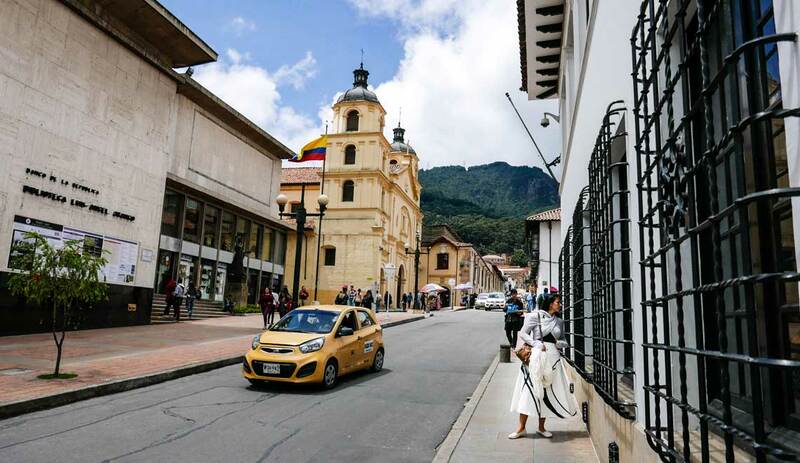 Bogotá is where you can experience a romantic colonial past mixed with a strikingly modern present.